This flat reed switch water probe is equipped with 2m of UL2464 lead wire and can be hooked up to one of the Fluksometer's pulse ports. 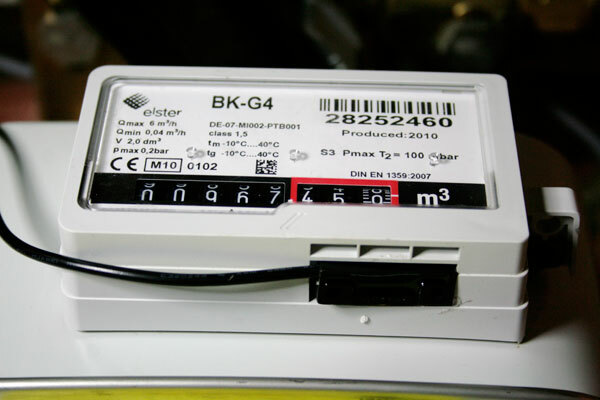 The probe is compatible with the Elster BK-G4/BK-G6 and the Actaris G4RF1 gas meters. 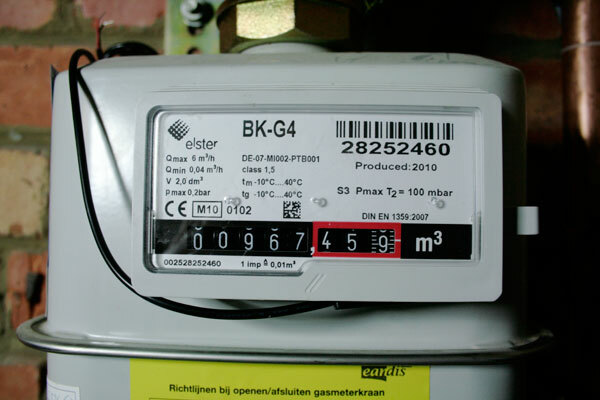 The FLM pulse port's meter constant should be set to 10L per pulse for these types of gas meters. The image below shows you where the probe should be attached to the Elster gas meter. The probe's laser marks should face upwards. For maximum sensitivity, the probe should be pulled to the front right of the cavity. Secure the probe with some gummy adhesive (kneedlijm).